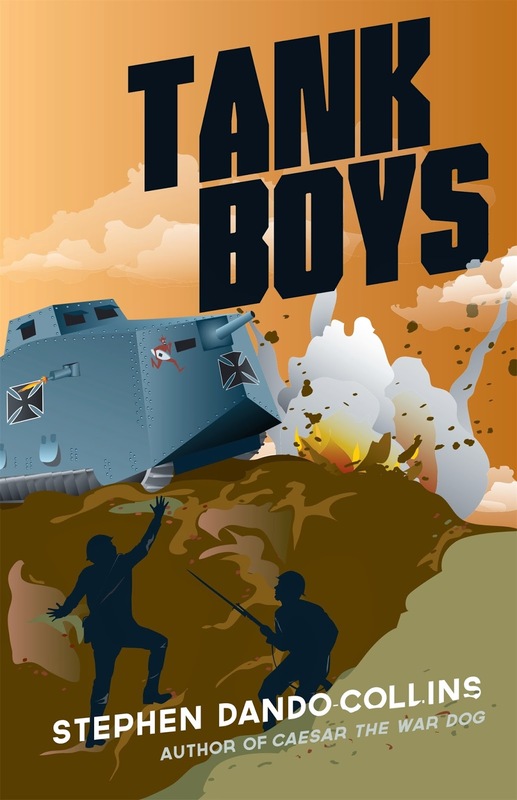 Tank Boys is an historical fiction based on true stories. The factual entries used throughout the book are recorded in the expansive Fact File at the end. The story surrounds the real tale of Mephisto, the German A7V super tank that was employed in the world’s first tank-versus-tank action of WW1. It was later captured by the Australian 26th Battalion of the 7th Brigade made up mostly of Queenslanders, and towed away from a ditch at Villers-Brettoneaux. It is currently housed in the Queensland Museum. Strong focus is placed on the war in the trenches, the battles, and how young and adventurous the soldiers of WW1 initially were, yet how courageous and brave they soon became. The movement-to-movement, scene-to-scene descriptions are so visual, I felt I was watching a movie. The characters voices came through so clearly that all my senses were engaged on every page, and in every chapter. Author/historian Stephen Dando-Collins has recreated a monumental time in history. With a strong concentration on the factual stories, he has constructed an equally convincing fictional background for the reality that was WW1. He is the author of the bestselling series Caesar the War Dog.